Ice hockey betting has a relatively low number punters as compared to the numbers in other, more popular games. If you are already a punter and you would like to spread your risk by engaging in ice hockey betting, chances are, your current bookmaker does not provide odds for this sport. Finding the best bookmakers for ice hockey and betting successfully might be tricky if you do not know what to consider. The best ice hockey betting sites should, at least, provide odds for multiple events. They should also provide live streaming and live statistics, which are good for making rational decisions. Bonuses are an added plus and they give you something extra for placing more bets. 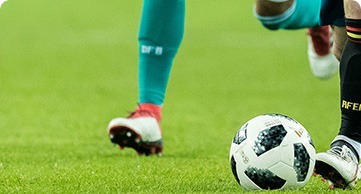 New Customers only | Minimum qualifying bet £20 | Minimum odds for qualifying bet is 4/5 | Max Bonus Token if qualifying bet loses is £10 | Bonus Token paid within 24 hours of bet settlement | No e-wallets | 18+ begambleaware.org. New Customers only. Deposit and place a €250 bet at odds of 1.75 or greater within 30 days of opening a new account; min bet €10; max bet €250. The entire amount (the deposit and the bonus balance) only has to be converted once with a quote of 1.75 to 11.0. T&Cs Apply. Register and deposit €50 or more.Place a sports bet of up to €150 and three times €10 Free bets at odds of 1.70 or greater. *T&C Apply. The first losing settled real money single bet of at least £/€10 (£10 E/W) or more at odds of evens (2.0) or greater (or a multiple where each selection is at odds of 2/5 (1.4) or more) on a sports betting event of your choice will qualify. Only the losing win single part of an Each Way bet will qualify. Any ‘Cashed out’ bets will not qualify for this promotion. The importance of having bonuses on a betting site cannot be overlooked. Just in case you placed the wrong bets, that little extra will keep your account from hitting zero. Ladbrokes, where new customers get to bet for free in bets that do not exceed £50. Unibet, where new customers are given a refund of up to £30 if they lose their first bet. Betfair, where new customers are given a refund of up to £5 if they lose their first bet. These bonuses are available to all the advertised sports that these bookmakers provide, which include ice hockey. However, they come with their own terms and conditions, and you should go through them carefully because the devil is usually hidden in the details. There is a big difference between betting and betting successfully. In order to bet successfully in an ice hockey game, you must keep these strategies in mind. You must understand how ice hockey is played so that you can analyze the live stream, the statistics and use them to your advantage. Each team in an ice hockey match has 6 players: 3 attackers, 2 defenders and a goalie. As the game proceeds, these players can be swapped for substitutes by the coach, as a way of changing tactics. This is usually in response to the opponent form of play; or when their man is down (short-handed) or when the opponent’s man is down (power play). Checking live statistics is crucial to determining whether a team’s first line can beat an opponent’s third line: scoring many goals in the process and potentially winning the game. Keeping tabs on the power play and shorthand statistics can also give you an upper hand in predicting the winning team. Some bookmakers provide a point market, which basically means you bet on players. When a players scores or provides an assist, he is awarded a point. With this, player statistics are vital for determining which player balances or excels at both goals and assists. This will then guide you to placing the most probable winning bet. Betting sites such as Betfair provide another avenue for ice hockey betting using goals. Some goals might be scored during each match and this platform provides odds for teams scoring one, two, three or more goals. With this in mind, Betfair, Ladbrokes and Unibet are the best ice hockey bookmakers because of two main reasons: their ice hockey bonuses are very attractive and they provide live stats. Betfair does provide live streaming on NHL ice hockey games, which makes it even better bookmaker.